As a general rule I don’t like the Beginner’s books. They normally fill various chapters with trivial things. Things that you can easily find within the project homepage, or you also can get thousands of articles in the Internet. Maybe the first 3 chapters are trivial things about NoSQL databases, how to set up a PHP environments, and we also can read about how to set up a github account. OK this book is not one exception, but it has something “different”. The author builds one application (a twitter clone) using PHP as backend languaje, CouchDB for the storage and Twitter’s Bootstrap for the frontend. It covers all the process from the beginning (setting up the environment) to the end (deploy the application to the cloud). The book is very interactive. It’s crowed by “Time for action” sections where the reader can build the application at the same time than he is reading. And to top it all the author also encourages the user to commit each change to one git repository. In my humble opinion is a good book, even with its trivial chapters (probably they are mandatory in this kind of books). If you read the book and you follow the all the “Time for action” sections you will have great picture about one real web application development process is and it also covers very well all CouchDB related things. Another good point for the author is the usage of newest front end technologies such as Twitter’s Bootstrap. Maybe I miss a bit the usage of TDD in the development process of the application but either way if fulfills its mission quite well. As I said before it was my first experience as a technical reviewer. It was a great experience for me. I really enjoyed a lot reading and commenting chapters. If you are writing a book and you need one reviewer, feel free to contact with me. I’m still working in my filesystem with CouchDb. After creating a library to enable working with PHP and CouchDB (see the post here), and after using Monkey Patching to override standard PHP’s filesystem functions. I’ve created another solution now. Thanks to a comment in my last post (many thanks Benjamin) I’ve discovered that it’s possible to create a stream wrapper in PHP (I thought it was only available with a C extension). It’s pretty straightforward to create the wrapper. Of course it’s only an approach. We can create more functionality to our stram wrapper but at least this example meets my needs. That’s very simple. It’s almost the same code than the Monkey Patching example. The behaviour of this example is exactly the same than Monkey Patching one but I preffer this one. It looks like more “clean” than Monkey Patching approach. We can start to rewrite the code according to the new Nov\CouchDb\Fs interface. It’s not difficult but the syntax is very different so this piece of code needs almost a full rewrite. If we’ve got this kind of code split among files, we need to rewrite a lot. And rewrite always the same code is not funny so let’s do something different. Since PHP5.3 a new design pattern is available for us: Monkey Patching. With this pattern we can override PHP’s core functions with a home-made functions in a different namespace (another example here). That’s means if I have fopen function in the above example, PHP uses the filesystem function “fopen” but if we set a namespace in our example, PHP will search first the function within the current namespace. As you can see this file redefines some function into Nov\CouchDb\Fs\Monkeypatch namespace. That’s means if we properly include this file into our project, when we’re under this namespace this namespace PHP will go to the new function set instead to the original one. It’s something like overriding main functions at runtime. And that’s all. Thanks to PHP5.3’s namespaces we can change the default behaviour of our script into a new one only setting up a namespace. Sometimes a web server and a database is fair enough to meet our project requirements. But if the project scales we probably need to think in a clustered solution. This post is an attempt at being an unsorted list of ideas working with clustered PHP applications. Maybe more than a list of ideas is a list of problems that you will face when swapping from a standalone server to a clustered server. If you’re going to spread your code among different servers, one important fact is the source code must be always the same. You cannot assume differences in the source code. If you need to mark something related to the node, use environ variables and point your code to those environ variables instead of using different source code in each node. Perhaps changing the code is the fastest way to do the things initially but you will mess up your deploy system or at least turn it into a nightmare. Here you are the biggest problem. Clustering databases is a hard job. All Databases normally have one kind or another of replica system but replication as way to solve problems can backfire on you. The easiest way of database replication is a master slave replica system. Inserts in one node and selects in all. This scenario can be easy to implement and not very hard to maintain but maybe you need a multi-master replica system (inserts in all) and this can turn your database administration into a nightmare. One solution is use noSql databases. They have a simple and useful multi-master replica system. My recommendation is use a noSql database for those kind of information we need to have distributed in all nodes. I know it isn’t always straightforward but all the work done in this direction will be will be worthwhile in our outcomes. In fact noSQL’ main purpose is data scalability but also there are people who thinks noSql databases are some kind of hype actually. Who is right? That’s a mandatory point. You must have an effective deploy system. You can’t rely on you to deploy the code on the among the cluster by hand. This work must be automated. PHING, rsync, pull/push actions in a distributed revision control (e.g. mercurial) or maybe a simple bash script can be enough. But never do it by hand. If your application is protected with any authentication mechanism you must ensure all nodes will be able to authenticate against the same database. A good pattern is to work with an external authentication mechanism such as OAuth in a separate server. But if it’s not possible for you must consider where is located user/password database. 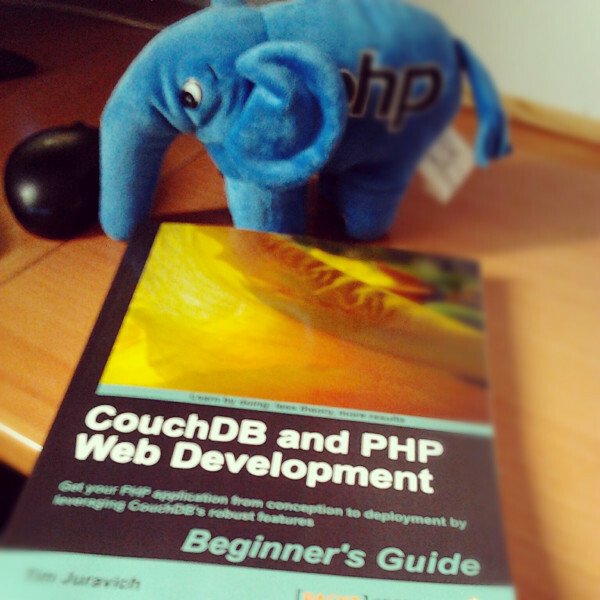 CouchDB is good solution. After your user is authenticated you need no check the authorization. OAuth servers can help you on authentication but your application must deal with authorization (aka user roles and role groups) anyway. My best choice here is CouchDb but you can use relational databases too. As I said in Databases section I avoid multi-master Database Replication with relational databases like the plage, but if you need to use relational replication in the authorization database you can use master-slave replica and update all role and authorizations in the master database. Witch session handler do you use in your application? File based (go to filesystem section of this post), Database (go to database section of this post). The same with cache and logs. With cache files you can consider keep it locally. If your cache system works unattended you can maintain the cache in local node instead to replicate it among the cluster. You can save bandwidth.